I recently came across an estate that was almost settled. Here are the numbers from the estate wind up: The gross estate value was $56,000. The estate was covered by a “will” only and not a revocable living trust. Put another way, 57% of the estate went to various expenses and funeral costs and the beneficiary received 43%, clearly less than half. 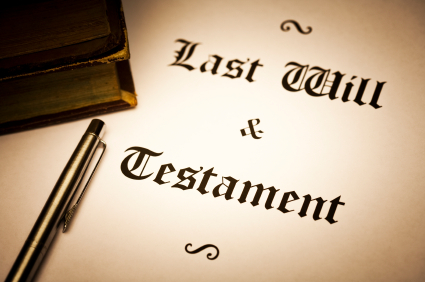 The physical asset was given to someone not in the will and not the beneficiary under the will. The gift was arranged separately and was well known in advance. There is absolutely nothing illegal or unethical in this gift distribution. It is interesting to see how a modest estate of $56,500. could be eroded with various costs with so little being left for the beneficiary and might make a person wonder why. Why did the executor arrange for such an elaborate funeral? Why did the executor (spouse) take such a large fee when money is not an issue for them? Why was an asset worth 19% of the estate given to a non- family member and not sold and the benefit given to the sole beneficiary (not the spouse) under the will? It is the prerogative of the testator or testatrix to do as they wish with their estate. I have no problem with this ”testamentary right” and it is certainly a benefit and blessing of the country we live in. In some circumstances, there are legal necessities which must be taken into account which can change the distribution under a will or trust if these issues are not taken into account when drafting the documents. We have the time now, to consider how our estate is to be distributed and all arrangements made with costs relating to those items. I urge you to do a couple of things. First, take some time to review your estate plan and related arrangements to ensure it is what you want and it makes sense from a financial, ethical, and moral perspective. This is a good time to enlist the aid of a professional to review your plans and add a different perspective to your situation. Secondly, look at the estate numbers from above the estate wind up. Is this what you want for your estate and beneficiaries? What are your thoughts on this wind up? I would be interested in your analysis on this estate wind up and your perspective. Differing viewpoints can add insight for all of us to learn from. Feel free to contact me at kmcgowan@cofchrist.org or 1-800-884-7526 ext. 5 and I would be pleased to assist with your estate plan.